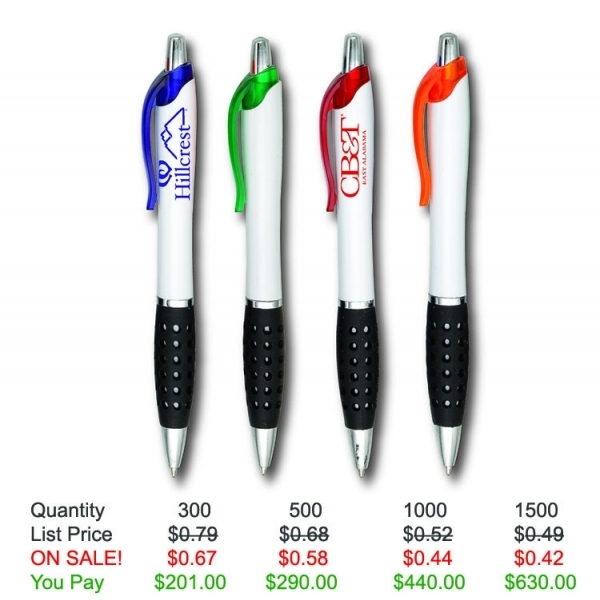 A classy and contoured curvaceous barrel, with a black dotted rubber grip, this hourglass shaped retractable pen is definitely a great value for a modest price. 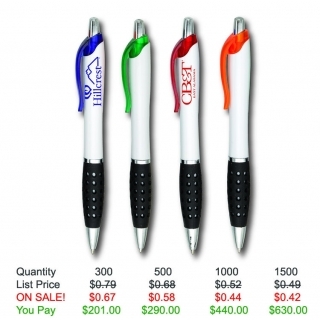 We offer Free Setup, Free Proofs, Free Artwork and Free shipping. Black ink with medium point. 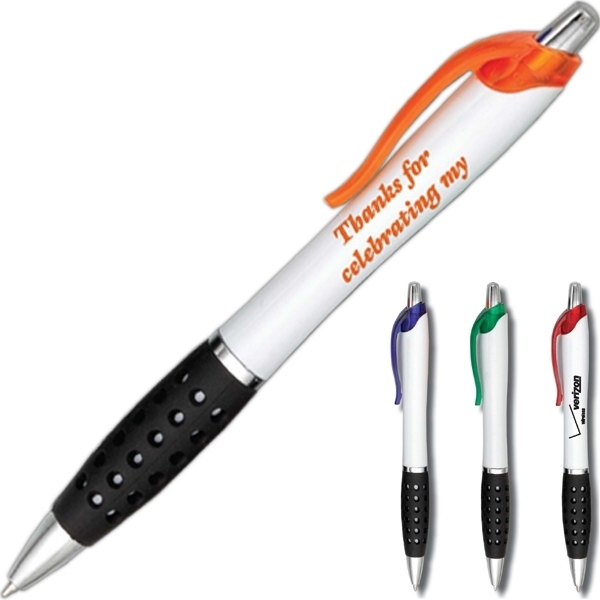 Product Features: Contoured curvaceous barrel, black dotted rubber grip, hourglass shaped, retractable pen.